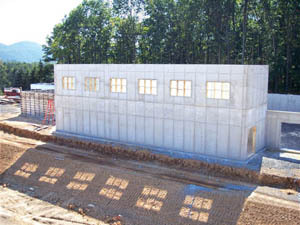 Western Forms, Inc., a Kansas City company, manufactures aluminum forming systems that are used in residential and commercial cast-in-place concrete building construction. Since being established in 1955, the company grew to more than 300 employees. Unfortunately, due to the global economic slowdown in the construction industry in 2008, employment shrank to less than 70 employees. Western Forms needed protections against the risk of foreign buyer nonpayment. EXIM approved Western Forms for a $2 million short-term export credit insurance policy to enter new marketplaces. The insurance covers open account credit terms for its buyers as well as protects against the risk of buyer nonpayment. Daniel Ward, the company's International Operations Manager, learned about export credit insurance by attending an EXIM Bank exporter forum in Kansas City. With the Bank's insurance, Western Forms has been able to increase its sales to emerging markets in Africa, the Middle East, Asia, Europe and North, Central and South America. Employment has now rebounded to more than 100 employees. EXIM has supported more than $30 million of the company's export sales from 2016 to 2019. "EXIM Bank support is required by small family-owned companies like Western Forms. We rely on EXIM to help us manage the risk of extending credit to buyers outside the USA. With 60 percent of our sales coming from foreign markets, this support is not optional, it is mandatory. We have used EXIM since 1995 to increase employment opportunities and expand future growth."